The borders of thrash metal were reached quite early, before any constant scene would be formed for real. This was mainly committed by Sadus, which was a less known, but I think important band band of the genre. Their main influence was probably Slayer, and from this point Sadus simply tried to reach the borders of the genre's main features, so they played so fast as it's physically possible. This insane speed mixed with technical themes wasn't usual even decades later, not many bands were able to do this after them. It's an exagerrated level already which is pushing forward their music on the borderline of death metal. With their common lyrical topics about death and horror, and vocal style together - which is like some wretched creature's voice fading after the lot of screaming -, they were also determined to follow the extreme tendencies of the music. So it's interesting how a band becomes the pioneer band of another style. 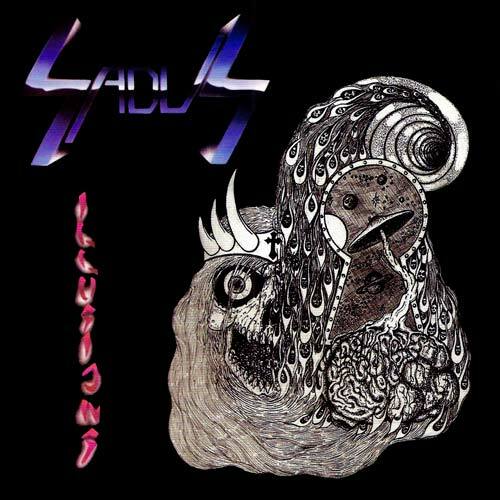 Sadus' illusions of insanity became an ending chapter in the musical possibilities of thrash metal.